v3 marks a major re-haul of the SatNOGS Rotator design, with learnings from v2 applied. You can see a lot of the thinking and background research that was conducted prior to v3 development in this thread. 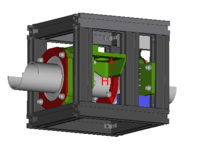 Also in this wiki page you can also find a "How to build the rotator", mechanical analysis and all documentation about the SatNOGS rotator. Also in this list is presented different rotators, either commercial or DIY builds. 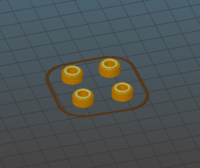 3d Printing at a Fab Lab or your local hackerspace: If you don't have your own 3d printer, then a local Fab Lab or hackerspace may be able to do it for you. Fab Labs and hackerspaces are places that have invested in the machinery and you can take the designs to them. 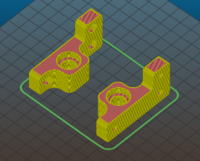 Generally they need .stl files to import into the software that runs the machines, but this should be discussed with the Fab Lab or hackerspace. You then pay for the material, time or a combination of the two for each of the parts or any other agreement in place. 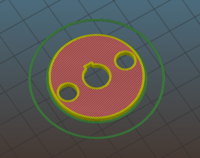 Most people building the rotator have had success builds with simple ABS material for the 3D printing parts. A good US source is MISUMI-USA; they will also cut to length. MISUMI has several other global locations . Beware, the 20-series T-slot from 80/20 Inc. in the US has slots that are only 5.2mm wide. The hidden corner connectors from e.g. AliExpress will not fit. Like the RepRap Buyers' Guide wiki, feel free to populate the table. Here are presented tools and consumables about part fabrication, port-processing and assembly process. Most of the tools are available in every hackerspace, makerspaces, FabLabs etc. Make sure you have all parts, according to BOM. Most of the parts could be fabricated by a FDM 3D-printer. Some parts have only 2D geometry so could be fabricated by a laser cutter. Other parts have modifications of common(hardware) parts like threaded rods or aluminum pipes. 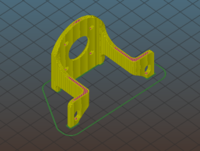 Also you could find a lot of guides for post processing for FDM printed parts. Follow the instructions for mechanical assembly and also you can watch timelapse Also, exploded views and instructions are present here. Prior to Step 8, the rotary encoders must be ready and prior to Step 11 the motor must be mounted in A1070-1. For the rotary encoder assembly look at the next section Rotator_Controller. The default way of controlling the rotator is to use the SatNOGS Rotator Controller.This works for both stepper motor and DC motor set ups (Note: If you are uing the the rotary encoders these will need to be set up). 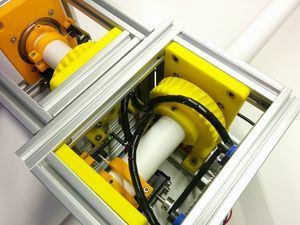 An alternative is to use the SatNOGS_Arduino_Uno/CNC_Shield_Based_Rotator_Controller, whih has been used as a stand alone set up for use with GPredict. Prepare the cover box and install it to antenna rotator with rotator controller and cables. Put the C1080-3 with screws M4 L10 DIN912, C1084-1 and washers M4 DIN125 to the azimuth module. The screw with the Phillips Rounded Head Screws For Sheet Metal, M3,5 X 6,5, DIN 7981,INOX A2, C1082-5 to the C1080-3 and put the C1083-1. Note screw only the middle screw. The power - data cable must be passed inside the azimuth axis. This solution is tested in station 200 without problem. In the other side of power cable must be installed a connector with 4 terminals and waterproof like Weipu - SP1310/P4I. Also it is needed to have the female connector for cable that connected to the client. For cheaper solution use a bigger cable to connect the rotator with client and power source. The 3 CAT5e UTP cables are 2x sensors (encoders - end stops) 1x power and data (RS-485). For color code use 802.3af Standards A and B from the power sourcing equipment perspective. The other cables are for DC motor or stepper motors. In each side of the CAT5e UTP cables must be put a Heat-shrinkable asreferred in BOM. Also a Heat-shrinkable must be putin the cable gland in rotator controller for motor cables. Add velcro to mount the rotator controller outside the box. Velcro tape specifications: Heavy duty, stick on, max 7Kg, 50mm x 100mm. The tape might be used to mount client box in the rotator. Cabling management inside the rotator controller. The controller is mounted to the rotator by using a tape as mentioned previously. The final step. If everything is working properly, must be put the C1081-3 by using sheet metal screws as mentioned previously. In this step if the holes of C1081-3 are not aligned with the holes of the other two parts, C1082-5 and C1080-3, drill new holes and screw them, take a look in issue 73. Put stickers!!!!!! You are ready! Proceed with testing. Now for the moment of inertia: (for all installation methods we assumed that antennas are counterbalanced in the elevation axis) the worst case scenario here is to use two 3kg (our designs are less than 1kg) back mounted yagis with 3kg counterbalances both mounted in 0.75m away from azimuth axis. 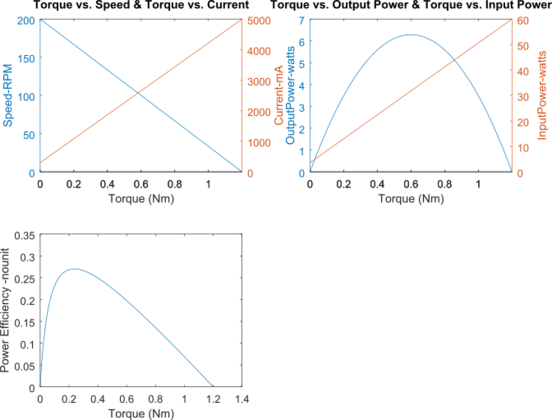 The torque you need in order to accelerate this system from ω=0deg/s angular velocity to ω=5deg/s (the math about angular velocity is below) in one second is about 60kg*cm. Note: we suppose that the mass of antennas is near to the altitude axis, so the torque of this axis that is needed to accelerate is approximately 0. (How well do you remember trigonometry? )For the angular velocity max needed in altitude axis the things are straightforward. The closer is the satellite the larger the velocity. According to the wikipedia article about LEO, the lowest height limit is 160 km and the speed unit to orbit earth in this altitude is 7,8 km/s. As a result, maximum velocity in ALT axis is 2,8 deg/s. In ALT AZ rotator design there is a well known limitation: the closer something passes near zenith the biggest gets the velocity of the AZ axis. Therefore, we have analyzed this problem to figure out the optimal velocity and how high we are allowed to track a target in relation to AZ velocity. 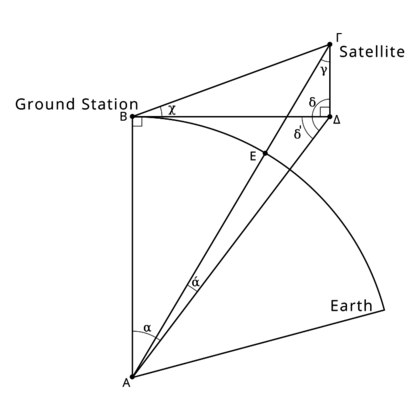 The picture below illustrates a ground station B which tracks a satellite Γ in X degrees altitude. The satellite velocity at this point is vertical to the screen (page) plane. Below you can see the plot of the equations mentioned above, where horizontal axis represents angular velocity (ω) in deg/s and vertical axis shows the max track altitude (χ) for lower bound of LEO. After studying this diagram, we came up to the conclusion that an angular velocity of 5 deg/s is adequate. For this decision, we took into consideration the main lobe of antenna (Δ3db) which in most situations is about 20 deg. Horizontal distance between pulleys (P1, P2) is 58mm. Vertical distance between pulleys (P1, P2) is w = 9.5mm. Pulleys and Belt are GT2, 2mm pitch. Belt width, 6mm. 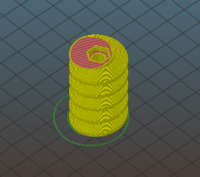 Belt thickness, 1.38mm (0.76 tooth). Wrap angle in both pulleys is larger than 60deg. At least 6 teeth in contact with the pulley at any given time. In practice that means you want a minimum of a 12 tooth pulley, and usually try to get at least 18 teeth. Position of idler do not care, or min 1.3*P1, max 1.5*P1 (for 20T, ~16mm/~20mm). Due to backslash and accuracy in both directions of movements and volume constrains, we choose GT2, pitch 2mm. Due to Tpeak = 0.9Nm No-load speed,(Speed of fastest shaft) = 100RPM = 600deg/s GT2 pitch 2mm belt is the better solution for our application. Speed ratio 1.8-2.25 according to specification of output rotation speed of 5deg/s. V(m/s) = 0.0000524 x pulley PD (mm) x pulley rpm = 0.066548m/s Belt speeds up to 6,500 fpm (33.02 m/s) do not require special pulleys. Calculate or evaluate correct loads for deep groove ball bearings radial static load = 11.6kN thrust static load = 0.7*11.6kN = 8.12kN This type of construction permits the bearings to support relatively high thrust load in either direction. 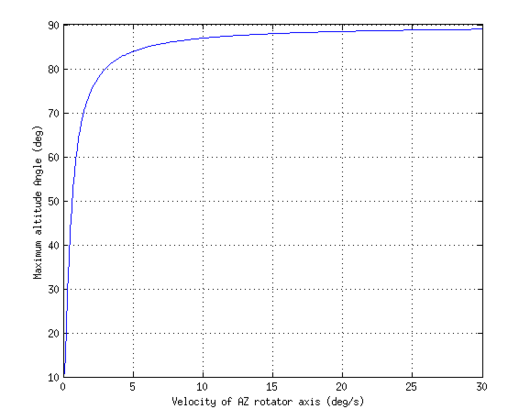 In fact the thrust load capacity is about 70% of the radial load capacity. A ball bearing primarily designed to support radial load can also support high thrust load; because only few balls carry the radial load, whereas all the balls can withstand the thrust load. General Specification about motors. The voltage and current consumption also it depends from the motor controller which is (maybe) different from SatNOGS Rotator Controller. This page was last edited on 10 March 2019, at 19:06.